Data is from the September 2017 BBC Newsbeat study conducted by Ipsos MORI. 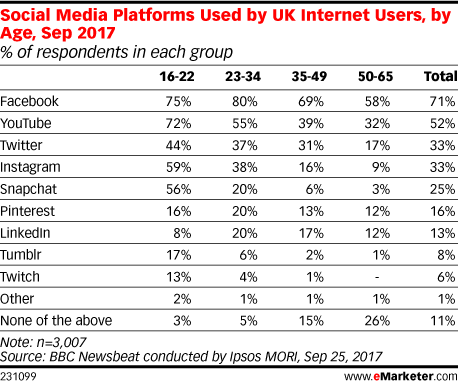 3,007 UK internet users ages 16-65 were surveyed online during August 24-September 4, 2017. Data has been weighted by age, gender and social grade to ensure a sample representative of the UK online population profile.